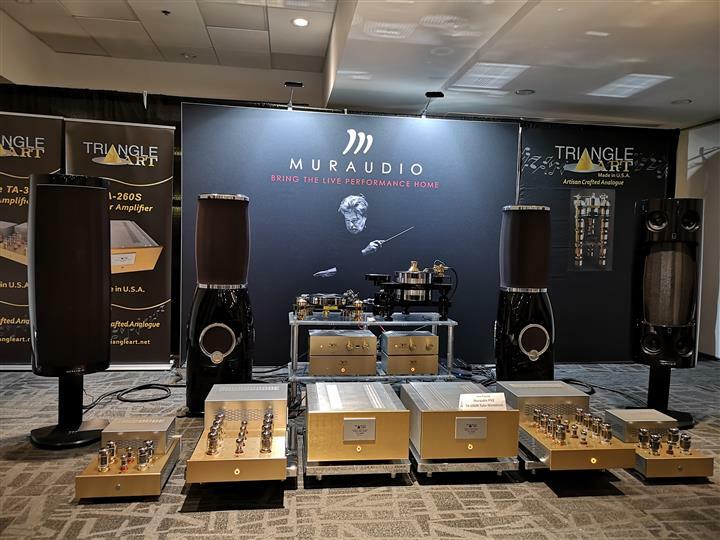 Welcome to Part 2 of our coverage of the 2019 Montreal Audio Fest. 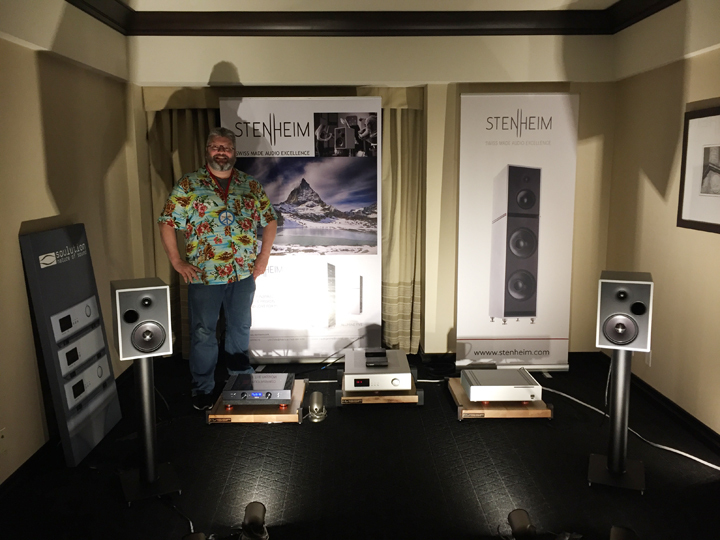 This was my first time visiting the Montreal Salon Audio and I must say I enjoyed it very much. All the good things I heard about the show from my friends were true. It was very well organized and run. I was familiar with many of the exhibitors and I was glad to visit them as well as others that were previously unknown to me. 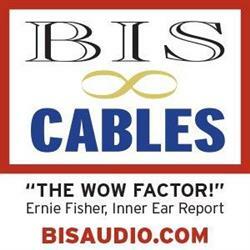 Here are my impressions of some of the companies that I explore on the show floor. 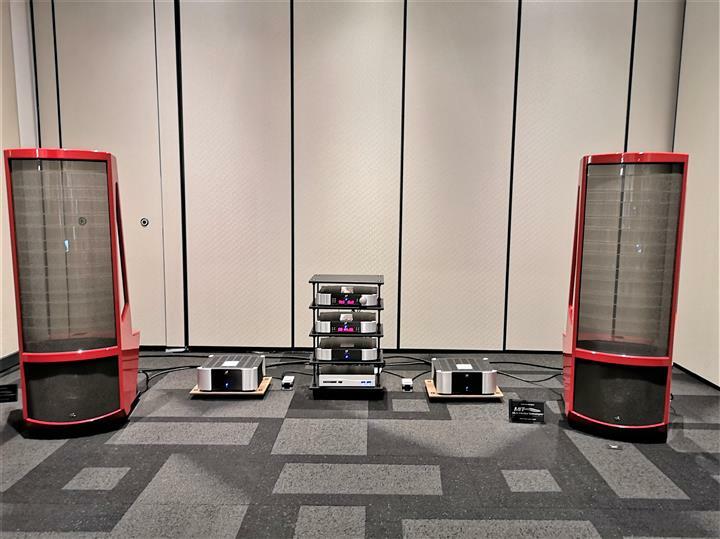 As a long-standing iconic Canadian brand, Bryston always exhibits in a large room to showcase their gear. 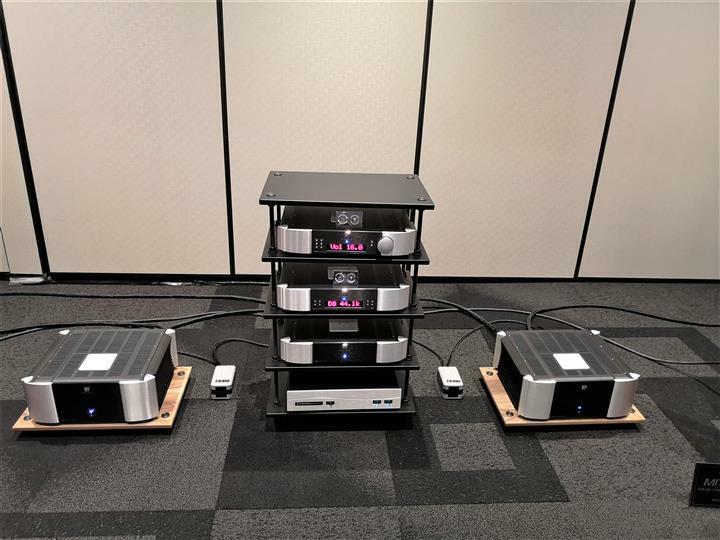 This year in Montreal they were once again showing the Active System with the Middle T-Rex loudspeakers ($13,740), which are basically two pairs of their Middle T models stacked on top of each other and secured with brackets. 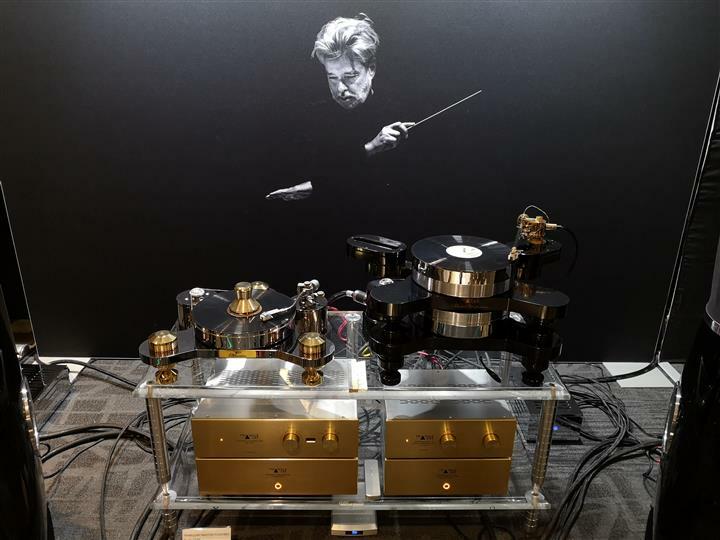 The system was driven by two 21B3 (cubed) three-channel amplifiers ($11,995 each), with each channel controlling tweeters, midrange and woofers per side. 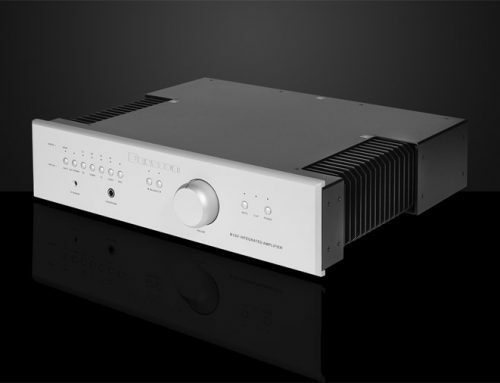 The demo system also featured the BAX-1 DSP active crossover ($3,495), the BDA-3 DAC ($3,795) and the BDP-3 digital player ($3,995). 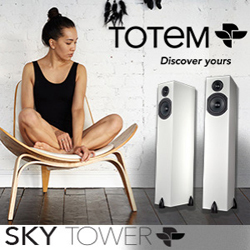 Playing Leonard Cohen’s “Tower Of Song”, the system offered great imaging and soundstaging with a clean and coherent presentation that was musical and pleasing to the ear. This was a very admirable performance without stratospheric prices. 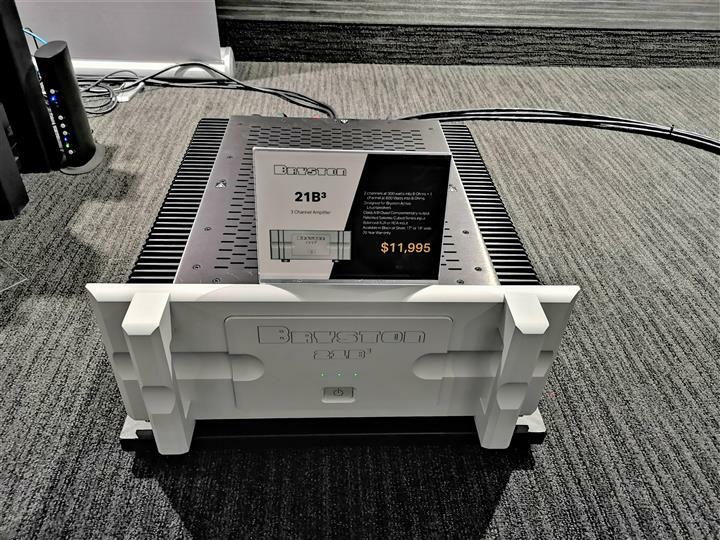 American electrostatic speaker manufacturer MartinLogan presented their flagship Neolith speaker ($105,000) driven by a full Simaudio Moon electronic stack consisting of the 850P preamplifier, a pair of 880M monoblocks and 780D DAC. Cables and power conditioning were provided by MIT. 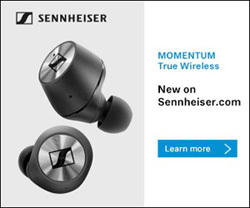 The Neoliths are very impressive speakers not only in appearance, but in performance. When I entered the room, Clément Janequin’s “Voulez ouyr les cris de Paris” was playing and I was immediately captivated by the clarity of the voices. As I sat down to listen further, I perceived a huge soundstage, precise images of each singer and plenty of dynamics. These speakers require very large spaces to truly shine and this room certainly complemented them. 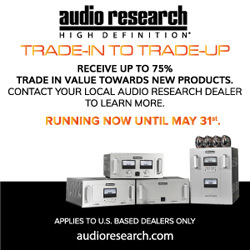 Oracle Audiois another iconic Canadian brand that is well known for their turntables and CD players. 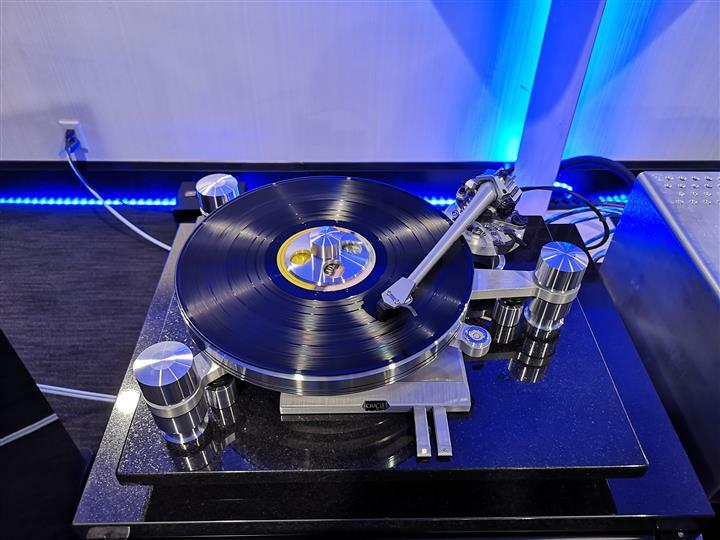 Showcased this year was their Oracle Delphi Mk VI Gen-2 turntable with the SME tonearm, the CD1000 Mk III Transport and the Turbo Mk II Power Supply. Led Zeppelin’s “Whole Lotta Love” was playing when I walked into the room and it caught my ear immediately. 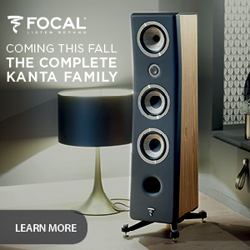 What captured my eye though, was a very interesting looking amplifier and a pair of tall and unusual looking speakers. 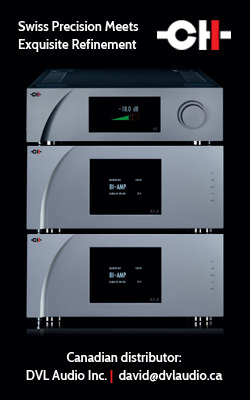 The amplifier was an EON Art Quark ($34,899) made by a Quebec-based company EON Art Canada. 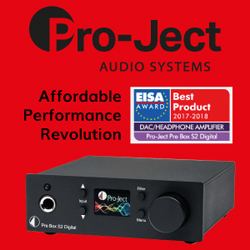 This is the world’s first integrated Class A+D amplifier, which uses tubes in the input stage and Class D amplification in the output stage. 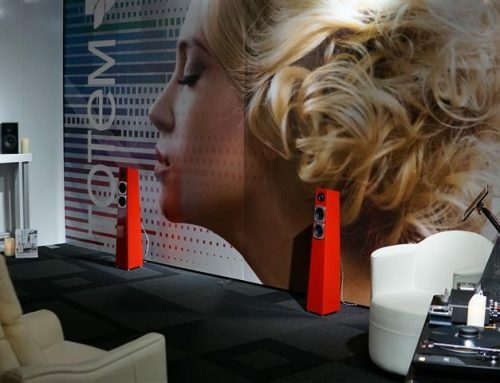 The speakers were from Venus Acoustics, called “Cybella Tall’, originating from France, but now based in Quebec as well. The sound in this room was powerful and warm, but not woolly. 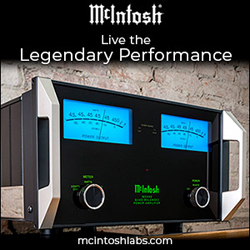 Led Zeppelin’s classic was faithfully reproduced by these interesting components. 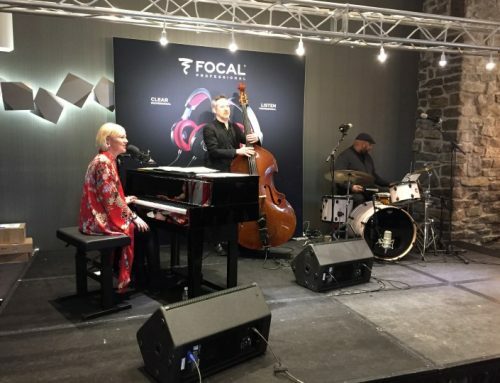 Ruel Audio of Dieppe, New Brunswick has been creating a stir in the audio community for a few years now and this year at the Montreal show was no exception. 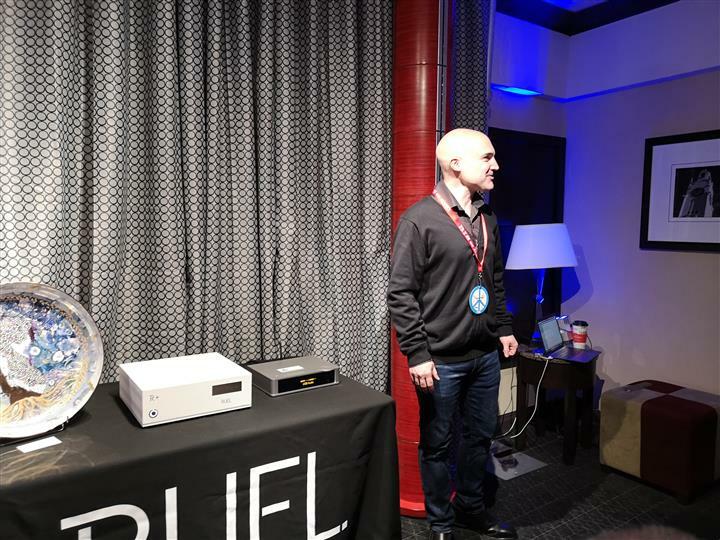 Their unusual speaker system called the Ruel RT(price varies on configuration) is unique to say the least. 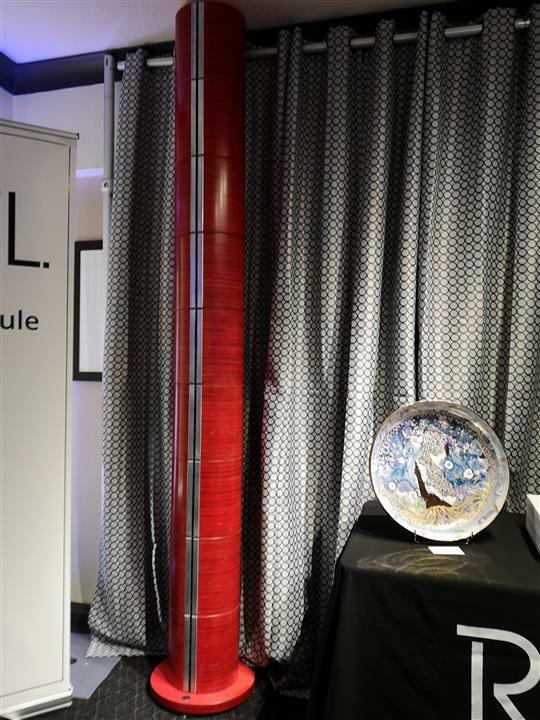 The speakers look like very tall floor to ceiling red columns, but they are actually stacks of small bookshelf size modules. 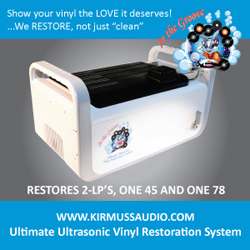 Each module has a vertical array of front-firing 1.5” cones hidden behind a vertical slit. So the impression is that both columns have a single slit running from top to bottom. 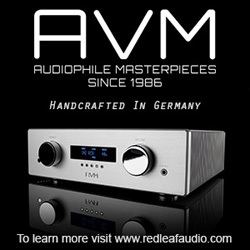 Rounding out the system was Ruel’s own amplifier/equalizer and the Lindemann Musicbook DAC/preamp/streamer. 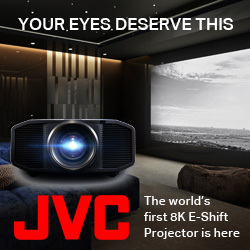 The speaker system is a line source, crossover-less design that projects sound in a 180 degree pattern with images being right in front of the listener no matter where he or she sits. And this is what I experienced while enjoying a presentation in this room. The sound was unique in its own way, definitely unlike anything else at the show. 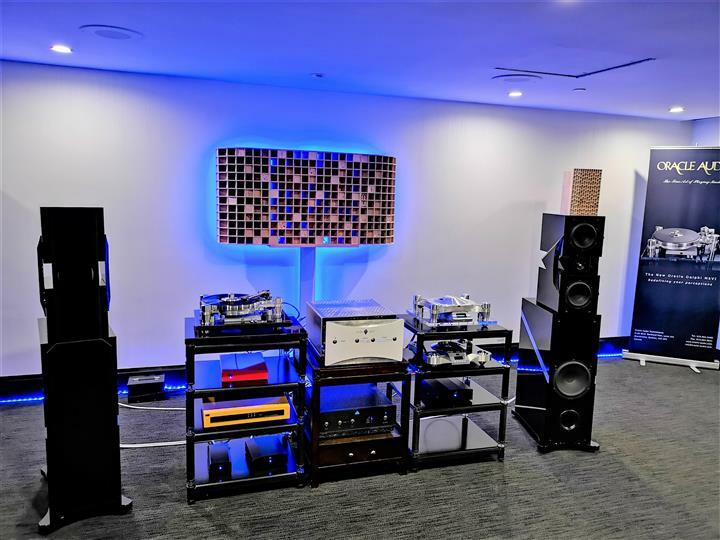 Toronto-based dealer Sonic Artistry brought a very interesting system to Montreal. Since they had a small room, their system suited it perfectly. 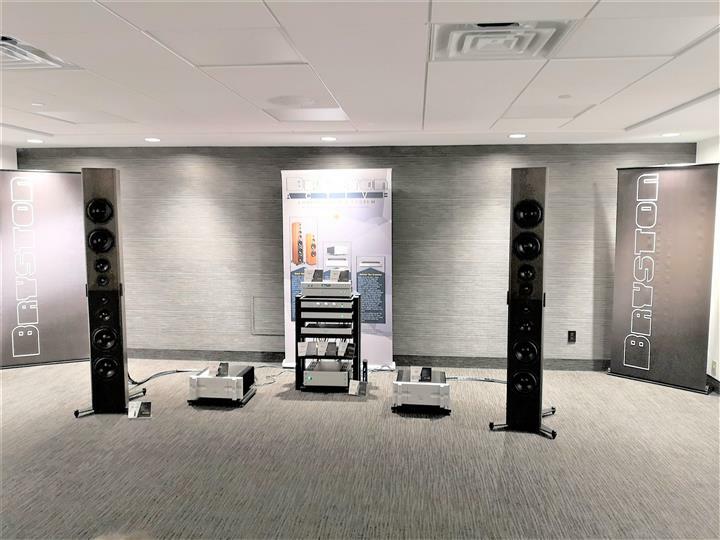 It featured the Canadian debut from Swiss speaker manufacturer Stenheim, who showed their new Alumine TWO SE bookshelf speakers ($19,950) on stands ($1,500), driven by a Soulution330 integrated amplifier ($23,000). 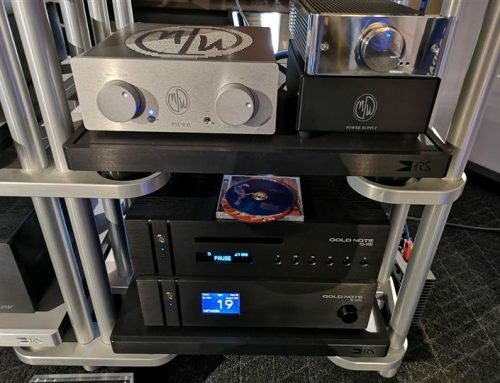 The digital front end was a Brinkmann Audio Nyquist Mk II Streaming DAC ($21,000) and the source was a Wolf Audio Systems Alpha 3 music server (USD $6,300). 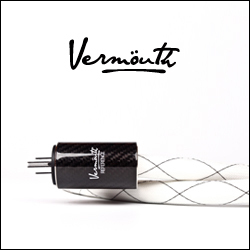 This proved to be a winning combination as the synergy between these components created easily one of the absolute best sounds at the show. Which in no small part was due to the Stenheims. 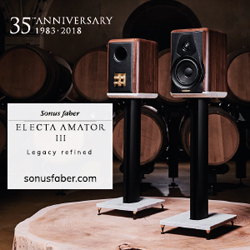 Featuring a front ported design with cellulose woofers and fabric-dome tweeters, these diminutive speakers produced full and rich sound that easily rivaled many floor-standing speakers. The entire frequency range, from deep and textured bass to clear upper highs, sounded natural, authentic and captivating, no matter what musical piece was playing.Highlights in terms of musical performances for me personally included a drum track titled “Fujiyama” by the Japanese taiko drum band Ondekoza, “Montreal” by Norwegian singer Kari Bremnes and “New Years Eve On The Waterfront” by The Stimulators. I challenged Jonathan Badov of Sonic Artistry and Stenheim CEO & Founder Jean-Pascal Panchard, to play “Encounter At The Shrine” from the Seven Swords soundtrack by Kenji Kawai, which is an extremely difficult track due to very low bass that makes many systems simply fall apart (clipping, blown drivers, etc.). And the little Alumine TWO SE were up to the task. Absolutely amazing performance! 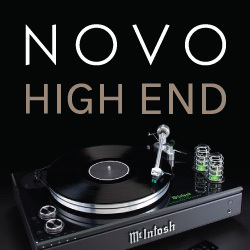 In fact, NOVO publisher Suave Kajko was so impressed with the performance of these puppies at the show, he is currently working on their review. 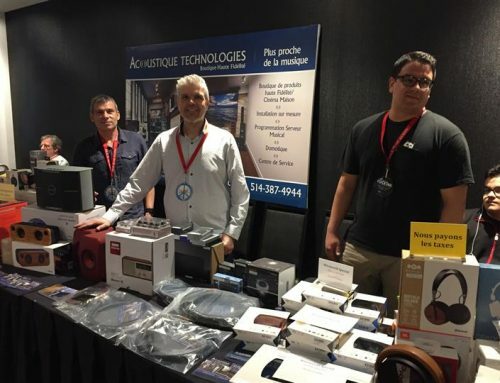 This concludes Part 2 of our Montreal Audio Fest show coverage… but several more parts will be posted on the NOVO website soon, so please come back in a few days!